Here�s a few more pics!! Passed on a few good bulls to find him last day!!!! 1. "RE: Big Nevada bull"
2. "RE: Big Nevada bull"
That's a Toad ! Congrats . 3. "RE: Big Nevada bull"
That�s a beauty ! Congrats!! 4. "RE: Big Nevada bull"
5. "RE: Big Nevada bull"
6. 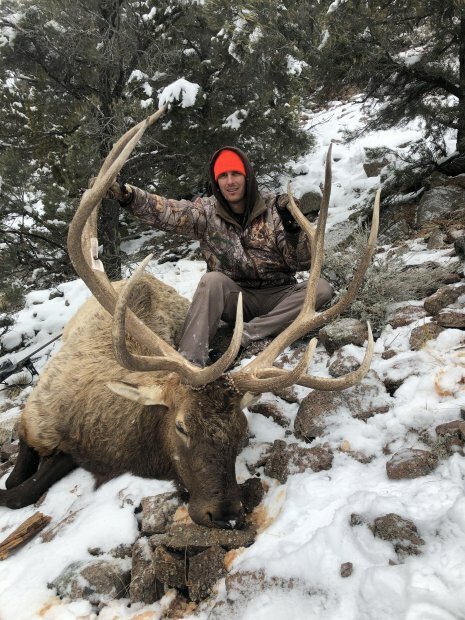 "RE: Big Nevada bull"
Congrats on a great bull. One of the best 5 points I can recall. Is that a warning shot through his right antler? 7. "RE: Big Nevada bull"
8. "RE: Big Nevada bull"
9. 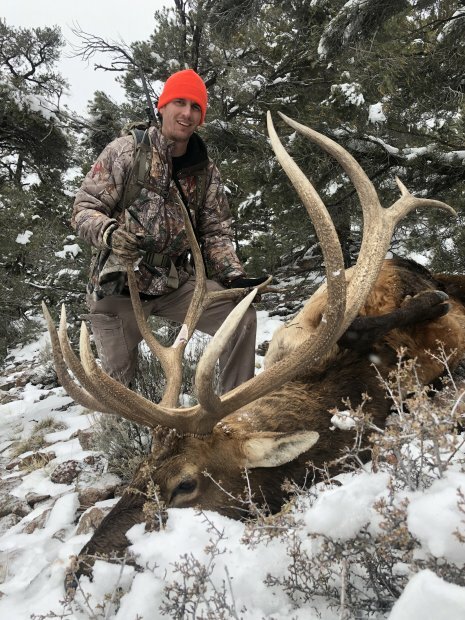 "RE: Big Nevada bull"
Congrats! He is a awesome bull. What do you think he will score ? 10. "RE: Big Nevada bull"
11. "RE: Big Nevada bull"
12. "RE: Big Nevada bull"
13. "RE: Big Nevada bull"
14. "RE: Big Nevada bull"
Wow, that�s amazing. Very cool. 15. "RE: Big Nevada bull"
16. "RE: Big Nevada bull"
JASON...�.I SENT YOU A PM...�...THANKS...�..YD. 17. "RE: Big Nevada bull"
18. "RE: Big Nevada bull"
beards - boys and women. I am neither. 19. "RE: Big Nevada bull"
I was just about to make some wise-azz comment like "weak thirds. LOL.